Travel by glass bottom boat to the West End, also known as "The Cliffs", where you’ll explore four unique attractions along the way. 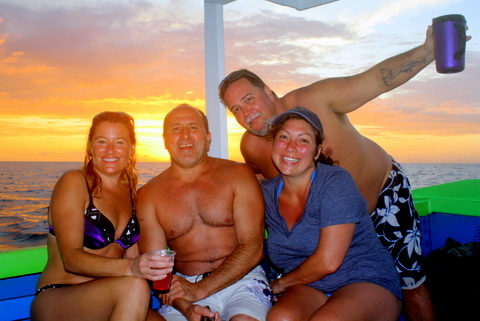 Perfect for large and small groups and for those making day trips from Montego Bay. 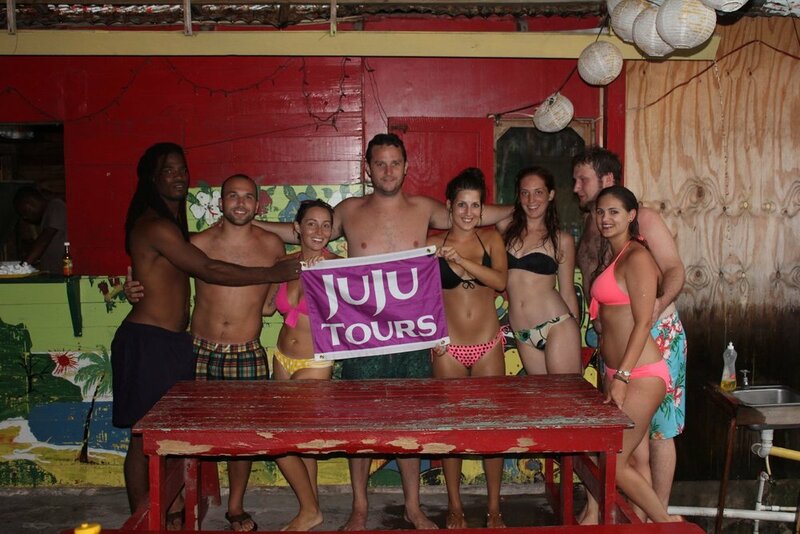 our favorite local eatery, where you will enjoy an authentic Jamaican meal. Get seasick? Take this tour by car on JuJu's original West End Drive. A minimum of four persons is required for this outing. Private parties of two are welcomed at a higher price. Please see above for rates. Pickup Time: Between 2-2:30 PM. Guests should wear their bathing suits, bring a towel and spending cash. Alternative meal options available for vegetarians and those who do not prefer chicken. It is strongly suggested to those who are prone to seasickness take a motion sickness pill prior to the tour.